A few weeks ago I wrote about my zeal for planting mint in pots at the cabin, as a way to create nice foliage at the side entry that didn’t require heavy maintenance and had the added benefit of having mint handy for some nice summer cocktails. 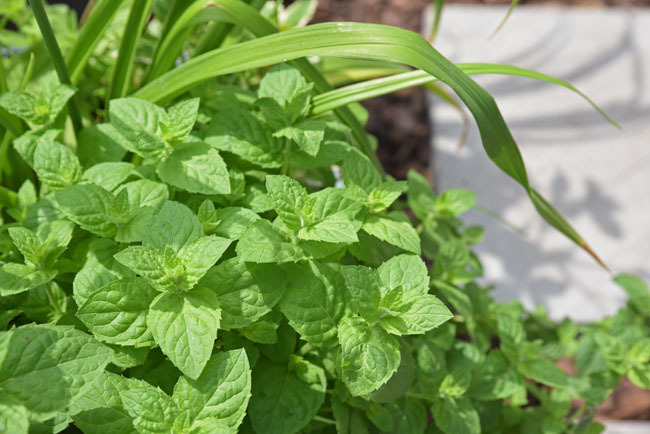 Then my go-to refreshment ended up being one packed with basil (see last week’s post here), and I found myself with an overabundance of mint – especially in these last weeks of the season. I was skeptical to swap basil out for mint in pesto, worried that it would overpower any other flavor. Not so! 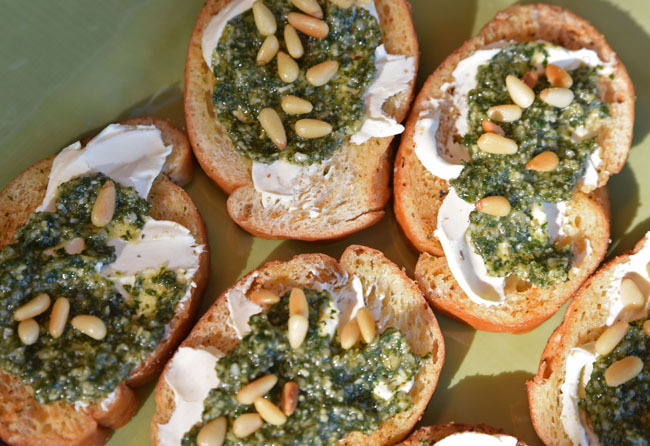 Try it with your favorite recipe (or use the version I’ve included below) for a bright and interesting twist on the traditional appetizer or accompaniment to meat dishes. 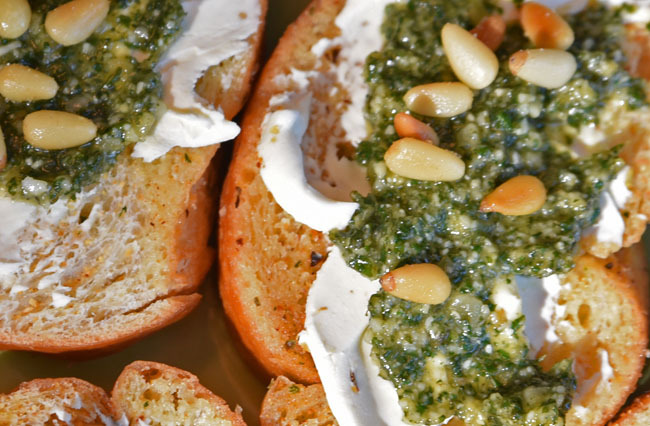 I served it with a bit of cream cheese on garlic rounds and topped with toasted pine nuts. Yum! Blend all in a food processor until smooth and enjoy!